Save $1500 on breast augmentation when using Mentor Implants. Explore our before and after gallery of beautiful, natural looking breast procedures. 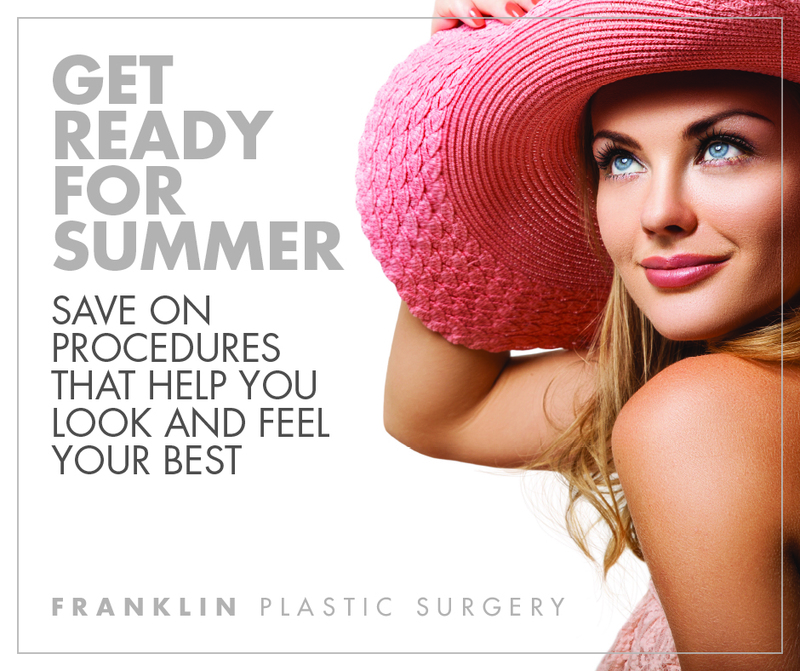 Schedule a consultation with Dr. Franklin. Our FORMA RF skin tightening procedure helps to tone and tighten skin without surgery or downtime. Watch Dr. Franklin discuss the procedure on ABC news here. Save $500 and stop sweating it out! Our powerful laser treatment uses RF technology to reduce excessive sweating. Schedule a consultation with Dr. Franklin. CoolSculpting helps permanently get rid of areas of unwanted fat. This month at La Therapie Spa, buy one area, get $500 off another area, plus get 6 free Endermologie treatments to help enhance the procedure. Designed to melt away your stress and and brighten your mood with lemon and orange essential oils, this Relaxation massage is made extra decadent with the addition of a lavender paraffin treatment.